Akorn and the Melbourne University Chapter of Robogals are excited about working together once again to offer this opportunity for girls in Victoria and for boys and girls in NSW through the University of New South Wales University chapter of Robogals. These fun hands-on days will provide information about various disciplines of engineering and some of the many opportunities it offers. 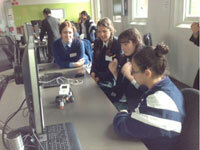 The days start with an information session followed by a robotics workshop. The final segment of the day is a series of challenges with increasing levels of difficulty. This day was one of the best excursions I have been to and has really got me considering a future career in engineering and robotics. I would recommend this program to everybody if you are interested in that career choice. I loved it and I bet you would too! 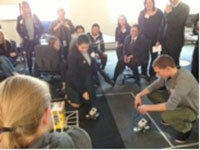 The Robogals Robotics competition is an excursion that I have taken students to for a couple of years. The students from each school don’t stay together as a team which is fantastic because they are then encouraged to meet other students who are interested in science and work with them to solve the various problems that they are given. It is a really valued part of our curriculum because the students are at a university campus, working with engineering students who are great role models, and doing science that is fun and challenging. 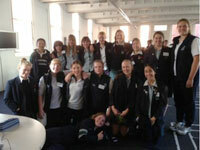 It ticks all the boxes for encouraging students to continue with Science into VCE.